Tech lab - it's all yours! Tech Lab is an attractive mobile stand that offers an ideal opportunity to explore the latest technology and innovation, and to showcase its potential to other parts of your business. 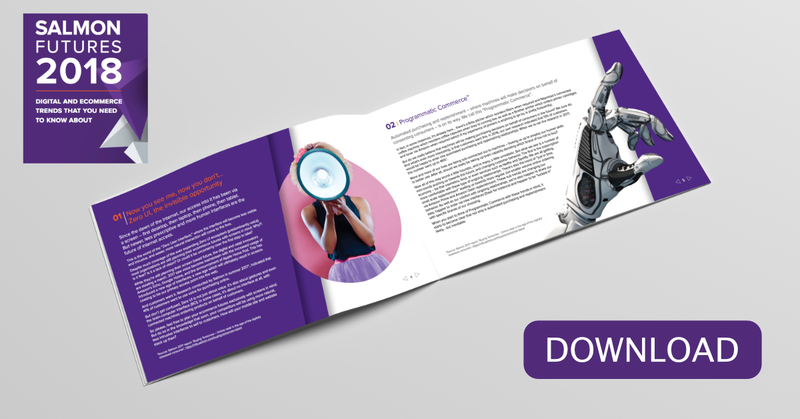 We’re already working with clients to demonstrate the real-world impact some of these technologies can bring. What’s more, it’s available for your use on your premises and it’s free*. Book the Tech Lab now. Complete the form and a Salmon expert will be in touch with you soon. Takes water cooler moments to the next level! The new Salmon Commerce Futures 2018 report lays out some key eCommerce trends businesses need to know about and start planning for to stay ahead. 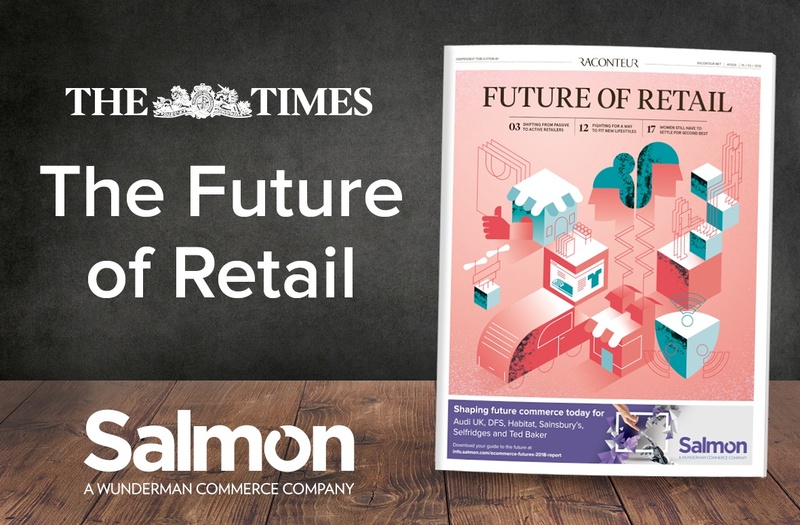 The Future of Retail special report, published in The Times, delves into what it takes for retailers to survive and thrive in the digital age. 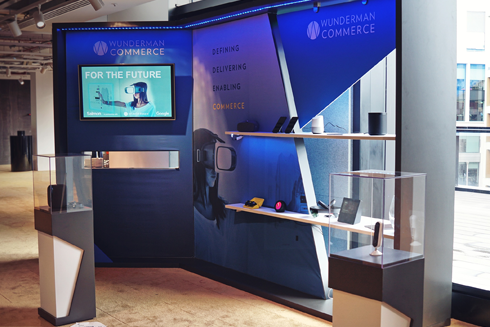 Watch the video of the Tech Lab at Commerce 2020 to understand how you could use it to help make your business future ready.